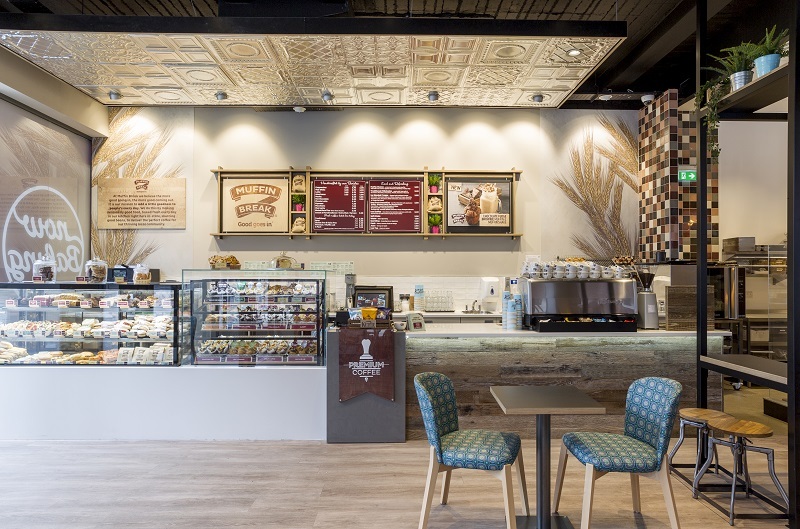 Muffin Break is an exciting and contemporary bakery café brand. Our freshly baked products and individually designed rustic, yet modern stores have been a winning recipe throughout the UK since 2001. Muffin Break is famous for making deliciously good food, baked fresh every day in-store. We are passionate about sourcing only the best Arabica beans, to deliver the perfect coffee. And there is more to us than just muffins and coffee, our stores also freshly prepare a range of other items to suit every occasion – breakfast range, sweets, lunch items and made to order cold beverages. Our customers can enjoy a friendly, community experience whilst benefiting from the quality products and promotions from an established brand. We are looking to further expand the Muffin Break brand across the UK and so are keen to talk to those with a desire to run their own bakery café business with the support of a brand with national and international success. This is a fantastic opportunity to run your own bakery café business and be part of a franchise brand that’s world renowned and recognised. You will experience the freedom of running your own business, whilst taking advantage of a valued and established brand name. 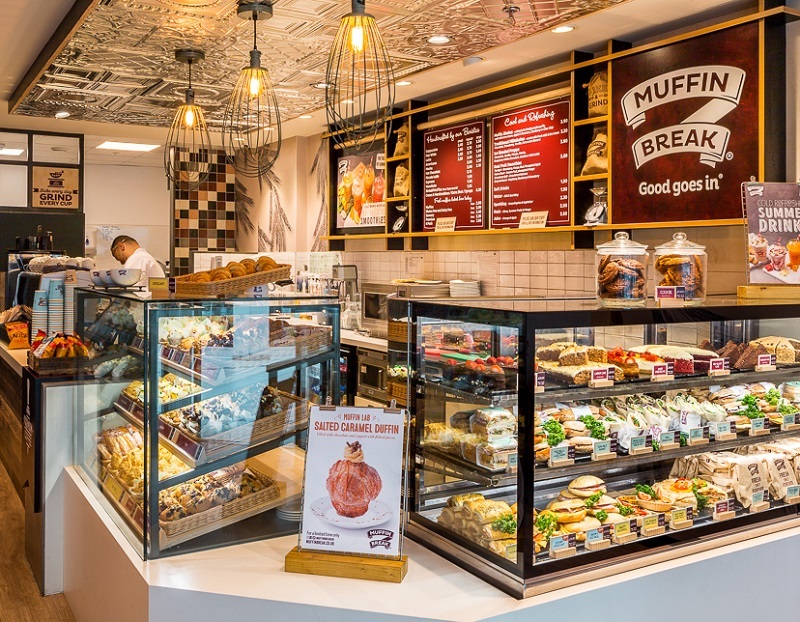 We benefit from strong relationships with major retail landlords allowing our franchisees to open their own Muffin Break stores in highly desirable retail locations. We design each store to make the best use of your site. We manage the entire construction program for you as well as supervising the fit out, ensuring you get the perfect environment with equipment of the highest quality. We give you advice on everything from baking to business planning, marketing to product presentation…. we’re there when you need us and we step back when you don’t. We understand that our franchisee’s businesses are their own. We support and nurture your business, we don’t run it for you. As a Muffin Break franchisee you will receive onsite training from our expert team and will cover all areas of running a bakery café business including marketing, operations and staffing; providing you with the skills and knowledge required to run your own Muffin Break franchise. Our franchisees are also supported with regular onsite visits. And with support and advice just a phone call away, each franchisee can rely on the Muffin Break team to assist them in creating the business they have always dreamed of. Muffin Break’s experienced and passionate marketing department are always developing strong marketing strategies and campaigns to support both the brands reputation and sales figures. To compliment this, each franchisee is provided with support in the development and delivery of bespoke local area marketing campaigns, which are aimed to target and capitalise on regional opportunities. How much does a Muffin Break franchise cost? By filling in the form below you will be able to receive a copy of the Muffin Break prospectus.